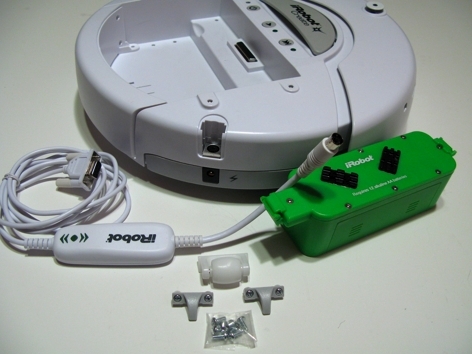 Over at HackingRoomba.com, I did a quick review of the iRobot Create, iRobot’s robotics hacking-oriented robot that is basically a Roomba in disguise. Short version: All the Roomba hacks here work on the Create, and the Create offers several advantages to the serious robotics experimenter. However, it’s not as cost-effective if you’re on a budget. Hi, I was wondering if anyone has used EESolutions.ca Roomba Repair Kit services? My Roomba has the 9-beep error and was wondering if someone can tell me about this companys products. Hi, just wondering if this hacked version is still capable of vacuuming? I couldn’t figure out how to contact you except through a comment. very cool – i’ll head over to the review and take a look!